CANTON, Mass. (May 30, 2013) – Dunkin’ Donuts, America’s all-day, everyday stop for coffee, donuts and baked goods, today announced that it will be honoring National Donut Day, celebrated this year on Friday, June 7, with a sweet offer to make the holiday extra special and fun. 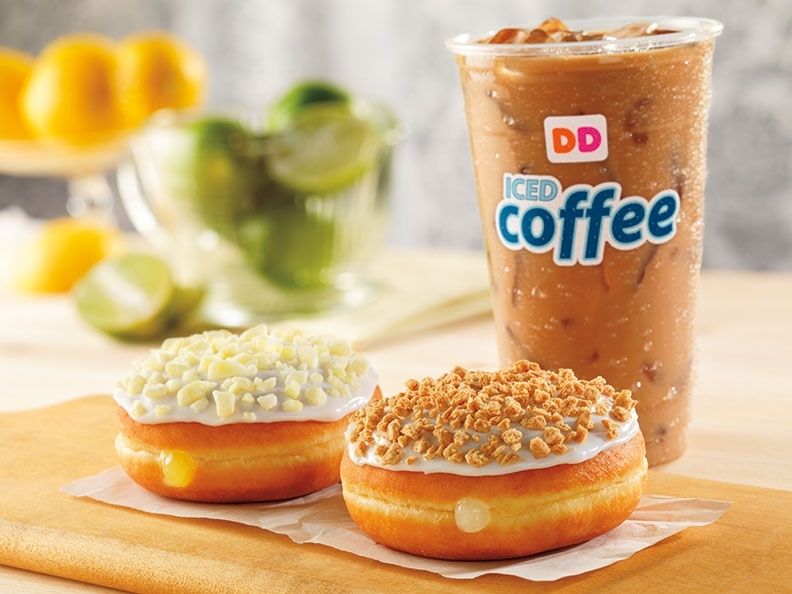 On June 7, participating Dunkin’ Donuts restaurants nationwide will offer guests a free donut of their choice (while supplies last) with the purchase of any beverage. This special donut offer is also available to Dunkin’ Donuts guests in 31 countries across the globe, marking the brand’s first-ever worldwide donut celebration. National Donut Day, celebrated on the first Friday of June each year, was originally established in 1938 by the Chicago Salvation Army to honor women who served donuts to soldiers during World War I. According to John Costello, President, Global Marketing and Innovation at Dunkin’ Brands, it’s the perfect day to celebrate the joy that donuts bring to people each and every day. “Perhaps more than any other treat, donuts bring smiles to people’s faces and make any moment in a busy day much sweeter. As the country’s donut leader, we’re proud to once again help people celebrate National Donut Day by enjoying a free donut at Dunkin’ Donuts with the purchase of any beverage,” he said. For more than 60 years, Dunkin' Donuts has been a leader in the donut category, selling 2.4 billion donuts and MUNCHKINS® donut hole treats annually. Within the United States, Dunkin’ Donuts offers more than 70 varieties of donuts, including beloved flavors such as Boston Kreme, Glazed and Chocolate Frosted.